Land for sale in Ubud Bali. This 8 Ares terraced paddy view Land for sale in Ubud Featuring rice fields and village jungle is situated in Cebok, 10 minutes to the world heritage Ceking Rice terraced. This affordable terraced paddy view USD 183 / m2 is excellent for private / commercial villa, a special offer of affordable 800 m2 @ USD 183 / m2 Property for sale in Bali by Bali Real Property, Honestly native, legally competent Bali Property & Real Estate professionals focused in Land for sale in Ubud Bali. 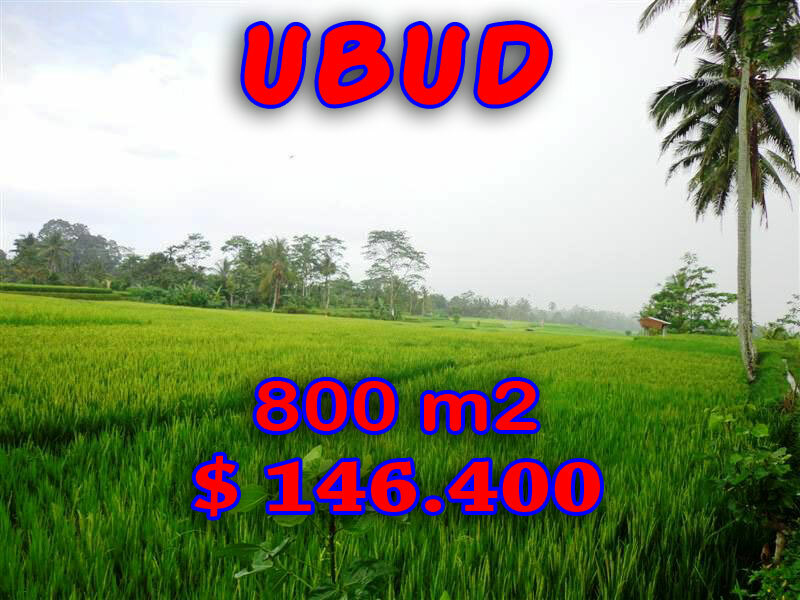 Want to visit this Ubud Land sale 800 m2 with terraced paddy view ?